Marc-Edouard Vlasic went to Sochi seeking gold. Now, the San Jose defenceman has his sights set on silver. A couple of weeks before Vlasic donned the colours of Team Canada at the recent Winter Olympics Games, the 26-year-old pondered what it would feel like if he and his teammates were to come home with a gold medal. After a dominating performance by the Canadian side, punctuated by a 3-0 championship win over Sweden, Vlasic, who pointed to his parents and wife in the crowd just prior to the medal ceremony, doesn’t have to wonder any more. But that doesn’t mean he’s stopped focusing on other goals. A perennial playoff team, the Sharks haven’t had much reason to celebrate in the post-season. San Jose boasts six divisional championships and one President’s Trophy (awarded to the team who finishes the regular season with the most points), but no conference titles and no Stanley Cups. The club has made 16 total playoff appearances and lost three times in the conference finals. The Sharks got things started on a high note after the Olympic break courtesy of an authoritative 7-3 road win over the Philadelphia Flyers on Thursday night. For his part, Vlasic had one assist, a plus-three rating and a team-high 21:57 of ice time, as San Jose won their third-straight game. Which is precisely what Vlasic does, whether it happens to be striking gold or skating for silver. Team Canada D-man talks Russian Rocket, World Cup of Hockey, and playing with Sid the Kid. 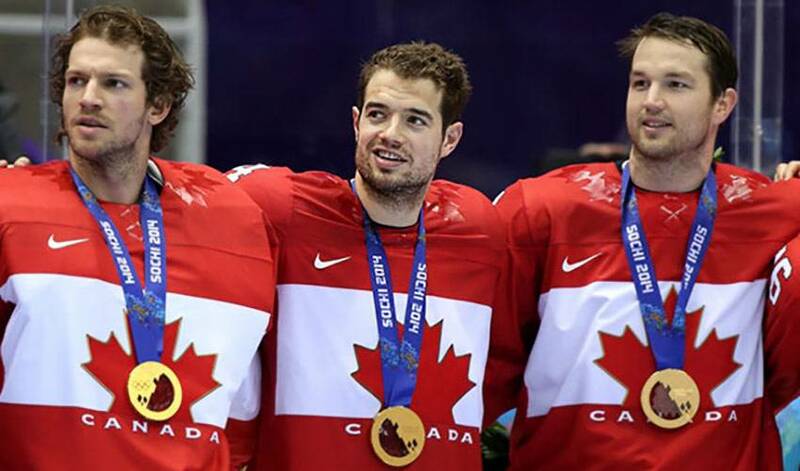 The players suiting-up in Sochi tell us what other Olympic events they’ll be following in Russia.